Tottenham Hotspur’s latest delay to the opening of their new stadium has put another question mark against whether the club will play Champions League football in it this season. Spurs had earmarked the March 17 Premier League fixture against Crystal Palace as the first match in the ground, but that must now be rearranged as Roy Hodgson’s side have progressed to the FA Cup quarter-finals. That means the earliest opening date for the new stadium is now April 6, when Spurs are due to face Brighton. That game is also in doubt because Brighton remain in the cup and would be due to play a semi-final tie on that weekend should they make the last four. The first legs of the Champions League quarter-finals are scheduled to be played on April 9-10 and Tottenham could have an issue if they are drawn to play at home first, assuming they do not blow a 3-0 last-16 lead over Borussia Dortmund. It is unlikely Spurs would be able to open their new stadium for a midweek game or for a particularly high-profile event, such as a Champions League quarter-final. That means that unless Spurs can open the stadium against Brighton, then they would most likely be forced to play the first leg of a Champions League quarter-final at Wembley if it was at “home”. The second legs of the quarter-finals take place on April 16 and 17, which would give Spurs a better chance of playing at their new stadium because it is straight after a Premier League home game against Huddersfield Town. 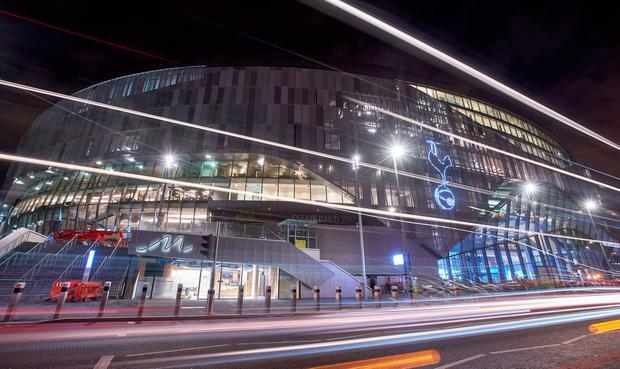 Uefa has not ruled out the possibility of allowing Spurs to play Champions League football in their new stadium and will allow them to confirm the venue for a quarter-final home tie nearer the date. Spurs are yet to announce the two test events required to obtain the necessary safety certificate to open the new stadium. Meanwhile, the English Football League has promised it will decide on whether or not Blackpool should be docked 12 points this season as “quickly as possible”. Last week, a high court judge approved the appointment of receivers from David Rubin and Partners to oversee the sale of the club in order to settle long-term owner Owen Oyston’s £25m (€29m) debt to former business partner and club president Valeri Belokon.